Austin has crazy weather, but this comforter is the perfect weight for most nights. 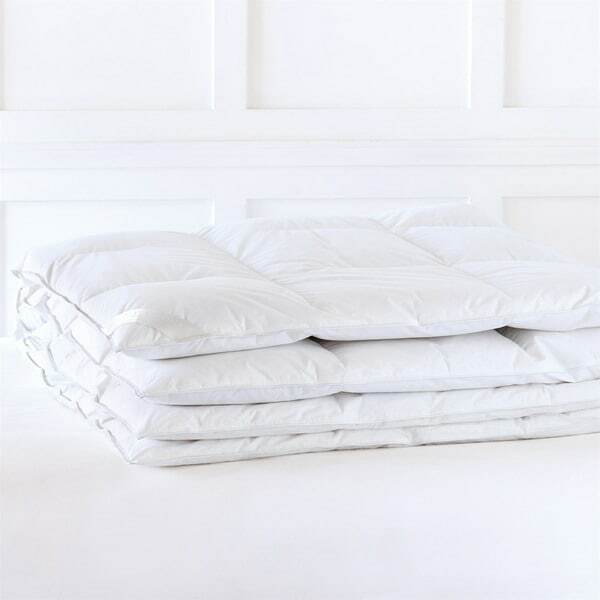 I bought this duvet filler (comforter) specifically because it is down, but thin in profile. I wanted something that could keep us snug in I Florida home during winter (we do not use heat and live in a stone house), but also be used during July and August in the hot summers. I could not be more pleased! Fits perfectly in my duvets and does not give the loft typically of a down comforter.